Anybody thought about doing a deer contest for this forum? I'm in a few on other forums and its alot of fun. It might be a little late to organize for this year, or maybe not if enough are interested. 50 points for does and spikes, bucks are based on scored inches of bone. Have to post up two pictures of you and the deer with bow, and the deer must be taken on public land. If enough are interested we can even think about forming teams. Thoughts? Alright, Hoss and Piney! Let's get 'er done! I let them get close enough so they can hear what I'm thinking about before I shoot! If you guys get 2 more that want to get in I will make the third for the 4th team. If not I will be happy to throw in a hat and shirt for the winners. Either way. Season is open here but I don't have any considerable time off til early November so I'll be behind the 8 ball when I get started. NanookOdaNorth wrote: Alright, Hoss and Piney! Let's get 'er done! Hey guys. I can't post on the contest thread. 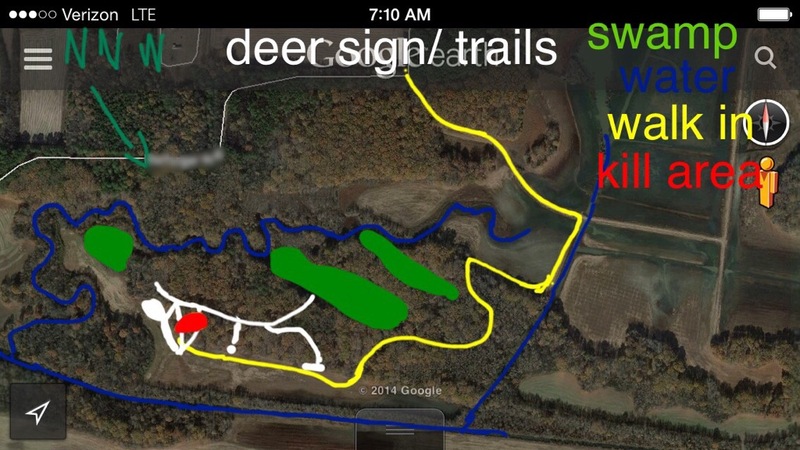 Went to: forum contest - 2014 Public Land Bowhunters Whitetail Challenge and i can't post an entry pic. So where do I post my 1st entry? Wish me luck teammates, kind of rainy, but I'm off this afternoon! did you score North Woods? I'm sure Dave will fix it, I noticed that as well. Well opening day in the morning for us here in Texas, good luck men! Tagged a doe for 50pts. Was really excited to post my pic, tagged her the same day you picked teams. Wanted to get everyone pumped. Send me the pics waiting4fall@gmail.com, I'll post it for you. Congrats too. good job on the doe, north woods! Early freezer meat helps the off season itch. That doe was right under me, about 3yds from my tree. PineywoodsBow, I hope to see one of them doe in a pic with, a bow & keys. Not like I have even gotten a public land bow kill yet, but I missed this darn it! Way to go teammate! I've got a fishing trip coming up here, but I also have a heavy oak drop scouted, the grounds covered with deer poop. Kind of waiting on the best wind for a few of my better spots, I'll be working on some video for my Public Pope and Young series, but need a few doe for the freezer too, and have been working on another public scouting doe hunting video as well, so I won't be holding fire on the gals this year like I usually do. stkbndr , congrats man!!! Would you mind to repost your pic in the official contest thread. I want to keep all of the entries consolidate in the official contest thread. Thank ya man. Sorry about that. I tried to post on that thread but it would post. I"ll try it again tonight. I had it locked. it's unlocked, it will work now. Going to be a cool crisp morning tomorrow. Temps in the mid 30s, I love October. Sorry guys, I can't seem to put the fishing rods down this year, Just had some time off and spent it in Georgia fishing for stripers on topwater plugs in Lake Lanier. What a flipping blast. But I'm sure thats not what you want to hear from your teammate. It just seems to rain every time I have a day off to hunt. I ran up to the private land yesterday after work, mainly because I have about an hour to hunt after work, and it's a five minute walk to my stand. This big full moon has them moving about 2 seconds before the end of legal light, and I managed to get busted by two big does coming in just as I hit the ground and turned on my headlamp. Oh well. Off tomorrow, but again, the rain, and opening day of duck here. So maybe not any bowhunting for me. But do not fear, I have 17 days off during the rut, between the full and dark moon in November, and have some prime locations scouted, that I have not set foot in since before the season opened to check shooting lanes. Unless someone else has discovered and hunted them, they will be undisturbed giving me the advantage. I may try to get out to some oak drops and put a doe down here in the next week or two, so hang in there. I'll do my best to put some points on the board for us between now and Thanksgiving, good luck to everyone! Hey teammates, I managed to put a small one in the freezer last Monday evening-still having issues posting on the contest thread, But I'm off early in the morning for 10-14 days hunting some NF land. Hopefully they are moving good while I'm there. Good luck to all and I will check in when I get back to see what progress everyone has had. looks like team 2 is the only one yet to score. going to give it a try today again. e-mail my entry to Dave so he could post it. Good deal HOSS! I'll be out in the same stand that I hunted back on 9/20...cool and breezy in PA tomorrow! This will be my spot for tomorrow afternoon, if no one beats me to it. Went out there a month ago and scouted around. It is roughly 1.1 miles in so I hope no one wants to walk that far. But it is an easy walk so I will find out tomorrow. Returned from my trip a few days early. Nothing to report. Deer not when my comfort zone and both bear that walked by me were not quit the size i wanted. Still having trouble posting a pic on the contest thread. Dave would you be able to post it if I send it to you? Firearms opener this Sat (Nov 1st) in my area. I've got 3 straight days to hunt this week, hoping to make them count. Best of luck teammates & competitors. Well season ended here in the North East last Sat. One doe for the year. Still a good season, hunted hard and had fun. Go team!! Well teammates, sorry I wasn't much help. After hurting my back two days into our rut, and being unable to hunt, the focus turned to hunting our private land we have permission on with the shotgun to put meat in the freezer. I've got 2 more Saturdays left in our late archery season here in PA. Gonna be cold, but the deer should be on their feet and feeding tomorrow! Good luck NanookOdaNorth, give it all you've got. Congrats North Woods Archer. Hopefully we can have another contest for the upcoming season. Yes, congrats, sorry I wasn't much of a teammate this year If we do happen to get a wild hair and do this again next year, I plan to dive in headfirst and come away with the TROPHY! Wow! Thanks but stickbndr put down a spike, just never got the pic posted. I feel its a tie. In this remarkable sport we play, we are the referees. Agreed! Split purse, to the victors. stickbndr Please pm me your address, so I can send you a gift card. Congrats to you both. Still want to see that pic. Thanks, but no need to send anything. Donate it or save it for the next contest. A little competition made things a bit more exciting each time a deer came close. Just wish they would have presented a shot. Count me in for next contest. Maybe if I send the pic to Dave's email he can post it.